I was first introduced to spinning by my good friend Nikki Webber of Nickerbockers. She is an amazing spinner among other things! 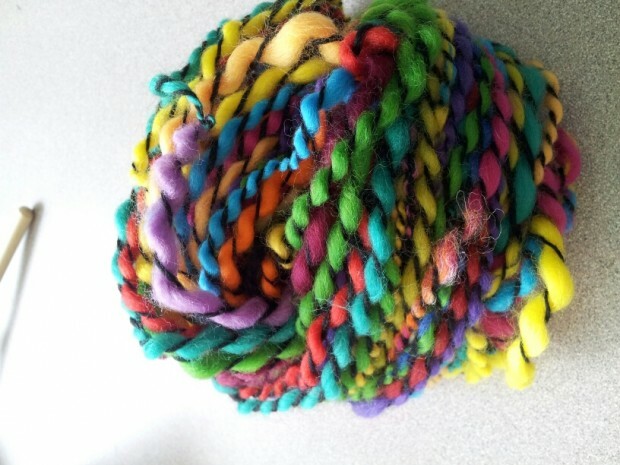 Check out her blog at http://nickerbockers.blogspot.ca/ Her great use of color and fibre makes her spinning so tantalizing to the eye. Here is a picture of some yarn Nikki sold at Creative Chaos to Janette Forest Creations. 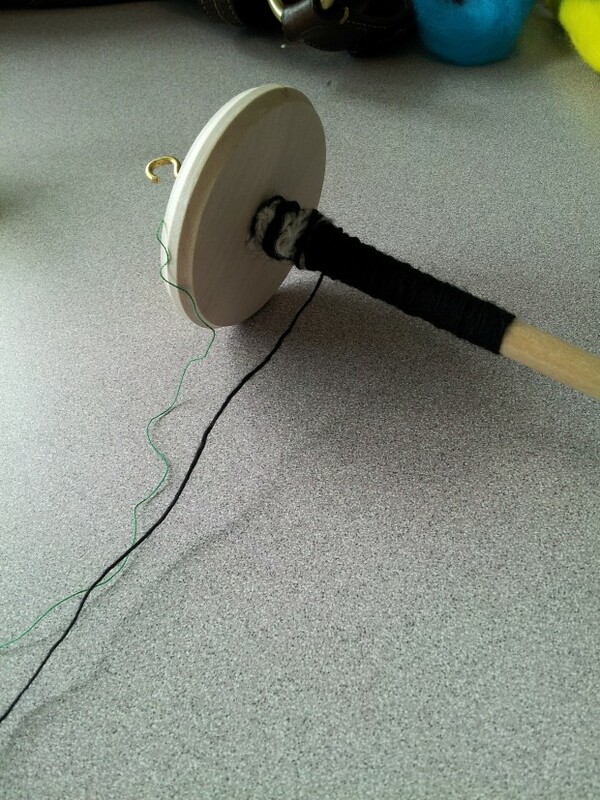 I first used this spinner to make my own yarn. I was not going to buy a spinning wheel because my husband would kill me and I'm not sure how I would have got that in the house without him seeing it. lol! Nikki suggested I try the Drop Spindle. It really scared me at first but the Drop Spindles that I sell are so easy to use that I can't put it down. 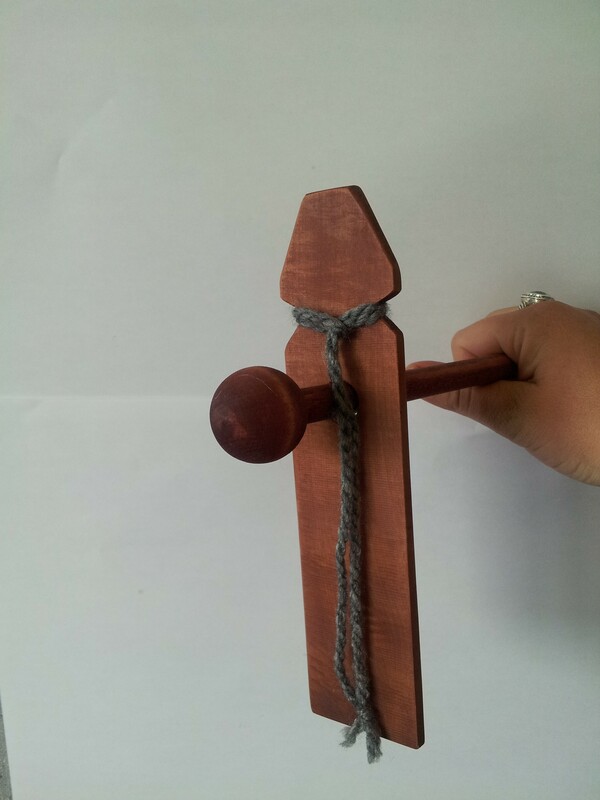 My husband asked me the other day if I was actually selling the hand spun that I was making on the Drop Spindle. I said "No Way". I am keeping this for embellishments on my felting. I am not much of a knitter but can knit. But I do love to spin and use it for the tassels on the scarves or right in the scarf, on bowls and whatever else I can fin a use for. I love how the colors come out and how easy it is for anyone to use. 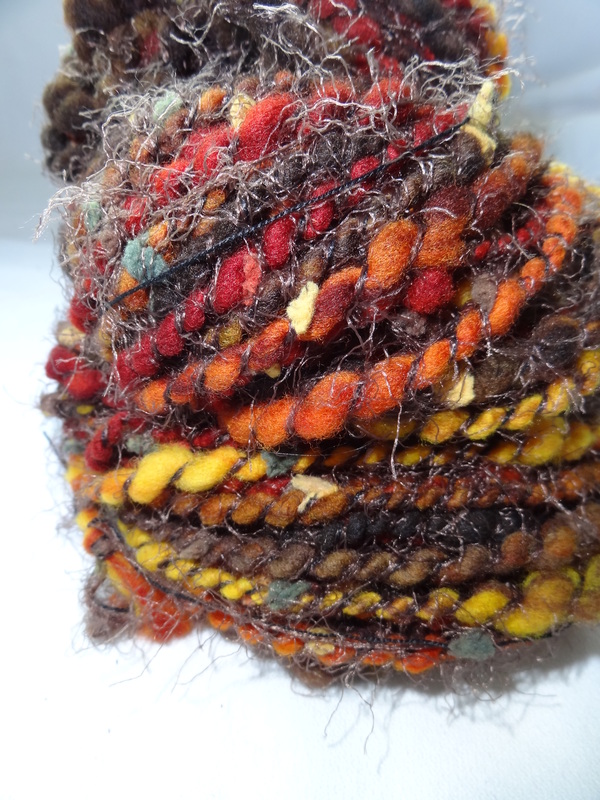 Whether it is commercial roving like this example or hand dyed roving the results are so exciting. 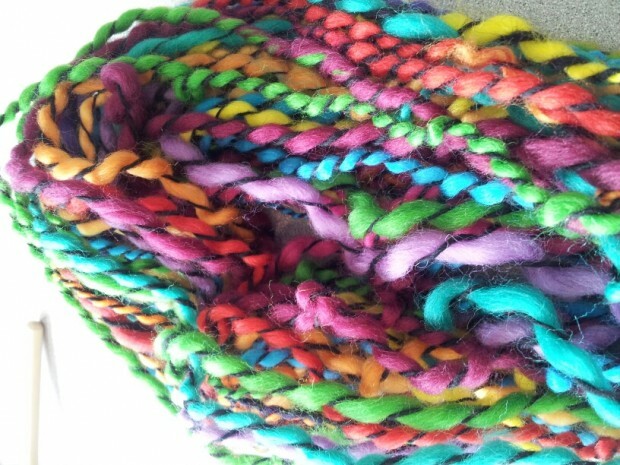 On this hand spun "over the Rainbow", I used a variety of very bright colors with a very fine black hand spun for plying. 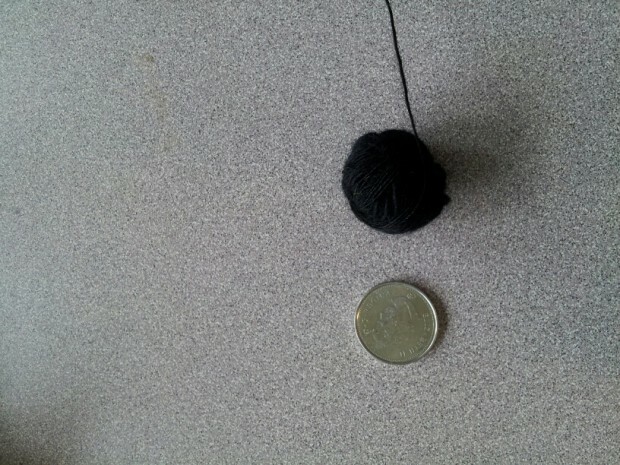 As you can see from the pictures, the black yarn was almost as tiny as a piece of thread in some spots. It is hard to work with, but so fun. 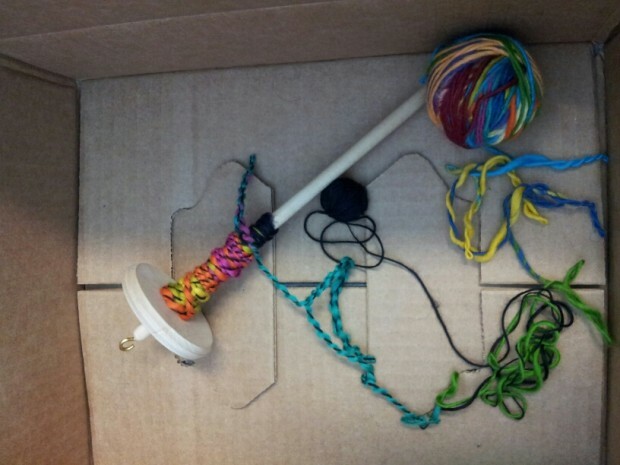 I used a box to put the ball sin for plying but they kept getting tangled, so I did split them up. If you are interested in learning how to drop spindle, drop me a line and I will send you instructions on how to get started.